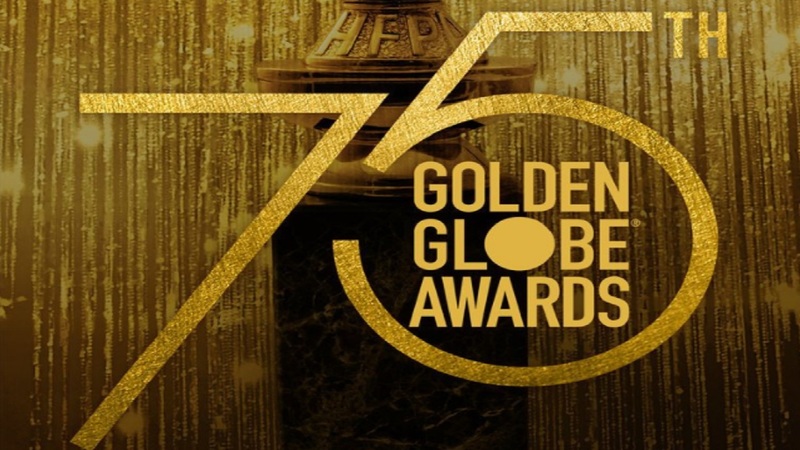 The Golden Globes are often considered to be an inside joke in the industry — where everyone gets a piece of the pie depending on the gravity of the bias of the Hollywood Foreign Press Association (HFPA). That is of course not much different from the Oscars but the Academy is not as upfront about its bias as much as the HFPA. The Globes nevertheless serve one important purpose — they set the awards season in motion and make people aware of some of the better films and TV shows of the year. It is almost like an extension of marketing but if it makes people head to the cinemas to watch quality films then that is ultimately — as they say in Hot Fuzz — the greater good. That is a ridiculously tough list of films competing against each other — but it is also a cause for celebration because we hardly see Christopher Nolan, Steven Spielberg and Guillermo Del Toro rubbing shoulders in the same year. Logically Dunkirk has the best chance at winning this one because of the World War II setting which generally serves as an aphrodisiac for voters. But a majority of Nolan’s fan base thinks this is the least memorable film of his and the buzz around The Shape of Water is through the roof. Who knows — maybe the HFPA will find a romance between a woman and fish man more potent than a war thriller. On the other hand, The Post, which celebrates the necessity of journalism in these times of blatant state sponsored media suppression might emerge as the surprise winner based purely on timing — and that would be a genius move by Spielberg who stopped work on Ready Player One to quickly shoot this film. This is a list of irrelevant titles and names because the most mesmerizing performance of the year came from Caesar in War of the Planet of the Apes. It gave the voters the biggest chance in cinematic history to revise rules and nominate mocap actors for short lists. Andy Serkis was robbed of a deserving honor and we will now have to wait for him to pull something new out of his magic hat. Daniel Day Lewis might end up grabbing this trophy as a thanks and goodbye — it is after all his supposedly final movie role. Unless of course he means it the way Steven Soderbergh said Behind the Candelabra would be his final movie. The recipient of the biggest snub is Robert Pattinson whose performance in Good Time is nothing short of extraordinary — but maybe this is karma for assaulting us with the Twilight films for years. One hopes the Oscars would be kind to him and the Safie Brothers, who directed that film with stunning originality and uncompromising vision. If there were awards for nominee lists, this would win it handily. It is difficult to pick a reaction when one sees Daniel Kaluuya being nominated for Get Out which is being considered as a comedy. Firstly, Kaluuya was not exactly funny in the film — he was generally quite terrified, and not in a funny but a survival horror way. The nomination also speaks volumes for how the voters see Get Out as a comedy than brutal social commentary, and that satire is always considered as ‘funny stuff’ when it is actually much more incisive than that. On a lighter note, it would be hilarious if Franco wins the award and sends Tommy Wissau to collect the trophy and give the speech — and we all know Franco is crazy enough to do something like this. Guillermo Del Toro often wins accolades for his visual artistry but his knack for crafting intricate stories is often overlooked. No other filmmaker explores the bond between a monster and a human as well as he does, and The Shape of Water seems like a culmination of his three-decade long work traversing this very territory. On the other hand, Martin McDonagh was robbed of a screenplay trophy back when In Bruges released. Maybe the voters would do the right thing this time around. One wishes Kevin Phillips’ Super Dark Times made the list considering its unique take on the sub-genre of a bunch of teenagers struggling to come to terms with a murder gone wrong. The line between television programming and programming that can be seen on small screens is increasingly getting blurred. Most of these nominations are quite like big screen material which can be accessed on laptops and iPads — which is great because it makes way for a golden era of TV. On the downside, the ‘popular’ shows like Game of Thrones always find a place in the nominations rather than the best quality ones. When you consider all factors — the writing, direction, acting, visual and aural expertise, and social commentary, Mr Robot is the best show of the year, but it is not as widely watched as the shows that made the list, so it does not make the cut. Moreover, there is a secondary list of nominees for movies made for television, which is vastly odd considering stuff like Fargo and Top of the Lake have been nominated. They are no different from TV shows so having a separate category makes absolutely no sense apart from the above mentioned aim of letting everyone have a piece of the pie. This is in fact reminiscent of our Manikchand awards where literally every film that released in the year gets a pat on the back with contrived nominations. One wishes the Dark Army plants someone into the HFPA to cause a giant disruption. Maybe TV shows deserve their own versions of film festivals and Indie Spirit Awards — the market has changed drastically since the advent of streaming platforms and the current foundations no longer support the weight of the quality and the sheer volume of the quantity of good TV shows. Strictly within the nominee list, however, The Handmaid’s Tale has the best chance of winning considering its social relevance and particularly strong craftsmanship.